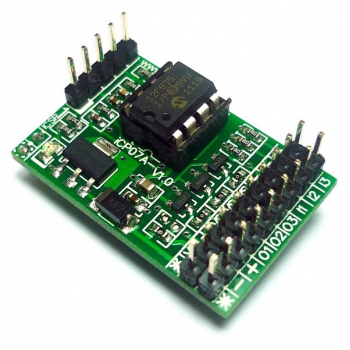 iBoard Tiny Extensions﻿ is a mini size 8-pin Microchip PIC12 IO Development Board with direct 3x input and 3x 300mA output control/driver. 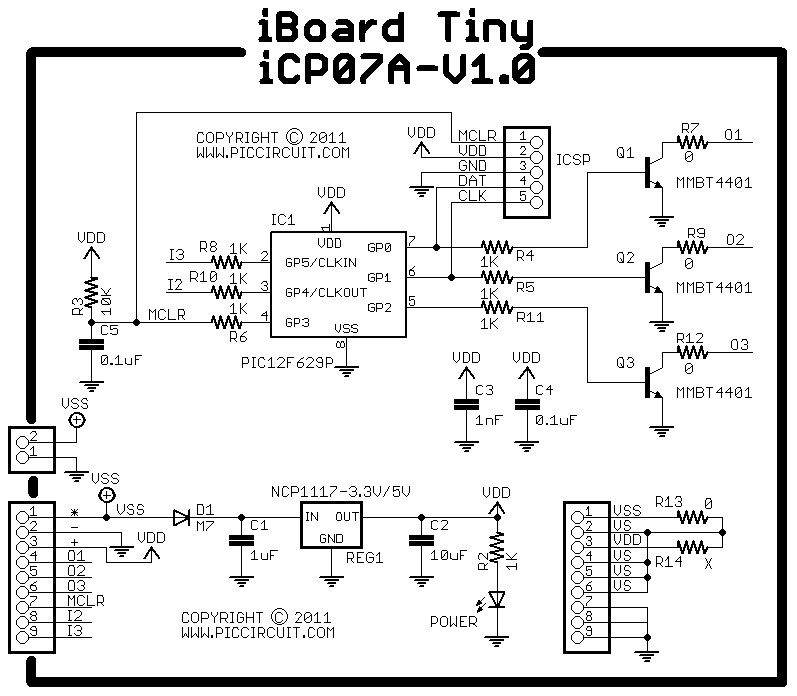 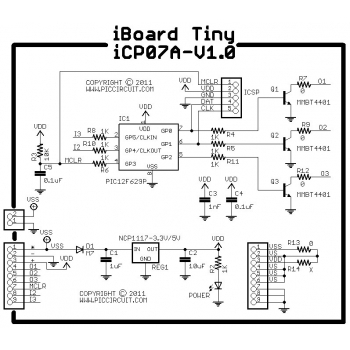 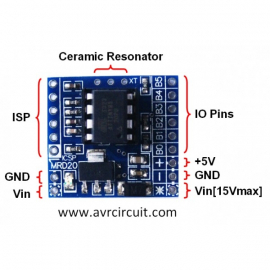 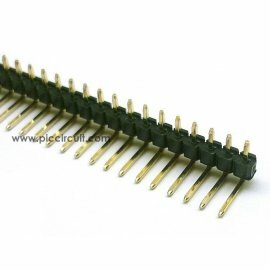 iBoard Tiny Extensions﻿ ﻿is built with a simple set of external port connection that fulfilled any type connector. 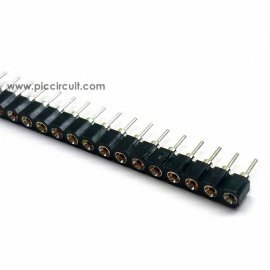 With these IO ports, user can easily plug in different type of IO modules and with different source of supply. 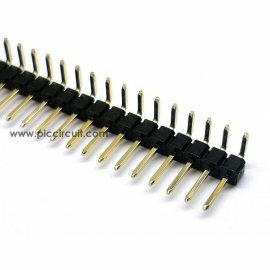 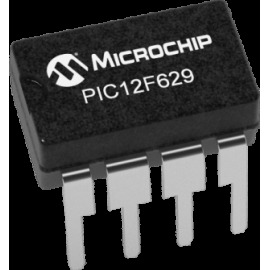 This PIC12F629 is a 8-pin Flash-based 8-bit microcontroller with 5+1 I/O Pins, 1 channel comparator and 128 bytes of EEPROM data memory. 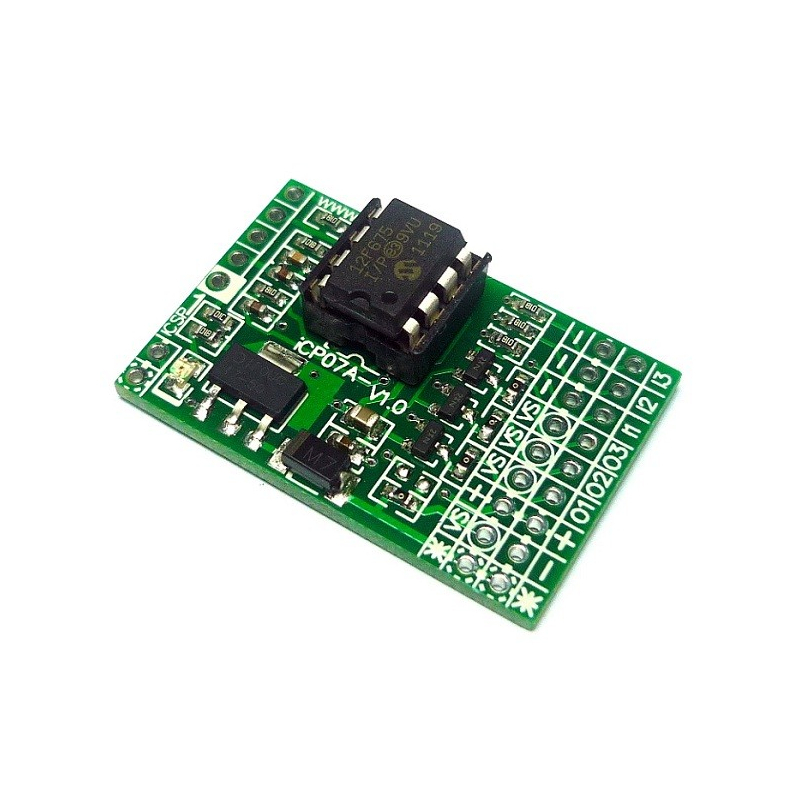 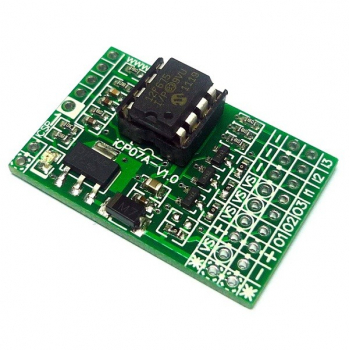 This PIC12F675 is a 8-pin Flash-based 8-bit microcontroller with 5+1 I/O Pins, 4 channels 10-bit ADC, 1 channel comparator and 128 bytes of EEPROM data memory. This PIC12F683 is a 8-pin Flash-based 8-bit microcontroller with 5+1 I/O Pins, 4x 10-bit ADC, 1x comparator, 1x CCP peripheral and 256 bytes of EEPROM data memory. 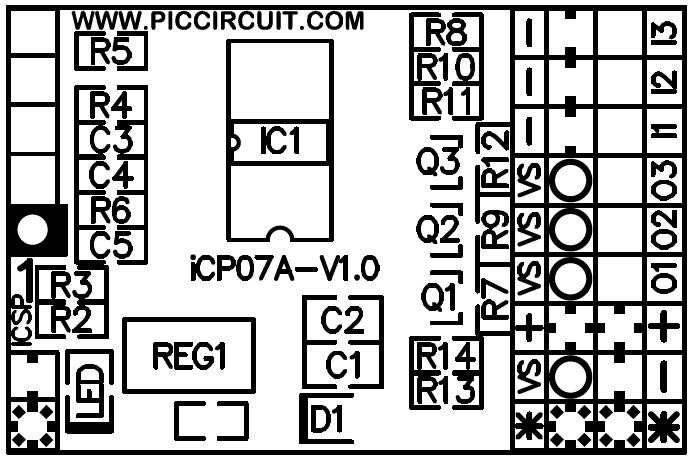 This PIC12F1840 is a 8-pin Flash-based 8-bit microcontroller with 5+1 I/O Pins, 4x 10-bit ADC, 1x comparator, 1x ECCP, 1x A/E/USART, 1x MSSP(SPI/I2C), 4x Cap Sense and 256 bytes of EEPROM data memory. 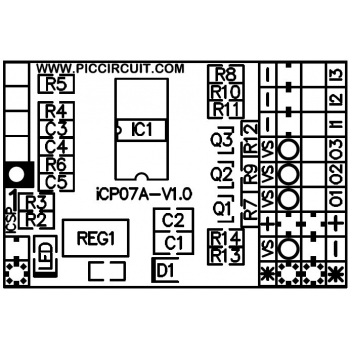 This PIC12F1822 is a 8-pin Flash-based 8-bit microcontroller with 5+1 I/O Pins, 4x 10-bit ADC, 1x comparator, 1x ECCP, 1x A/E/USART, 1x MSSP(SPI/I2C), 4x Cap Sense and 256 bytes of EEPROM data memory. 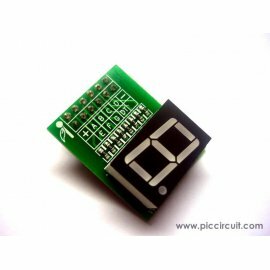 7 Segment Display is used to display decimal number from 0-9.